David Bowie's 1978 Glasgow Apollo gig Jump to media player David Bowie talks to Fidelma Cook backstage at his Glasgow Apollo gig in June 1978. 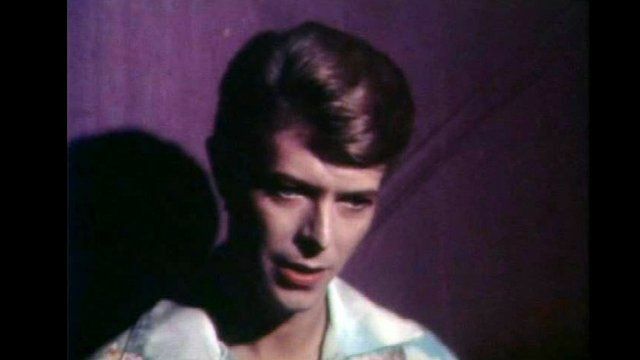 A look back at the life of David Bowie Jump to media player Music legend and cultural icon David Bowie has died, his son confirms. Archive: David Bowie interview, 2002 Jump to media player John Wilson talks to David Bowie in New York. This is an uncut version of the interview which was first broadcast on Radio 4’s Front Row in June 2002. The Beckenham beginnings of David Bowie Jump to media player A new biography written by David Bowie's former lover claims that the Brixton-born star owes his success to the town of Beckenham. David Bowie played Glasgow's Apollo in June 1978. The music venue was under threat of closing to make way for a bingo hall. Fidelma Cook caught up with the Ziggy Stardust singer backstage where he talked about Scottish music fans, the Apollo as a venue and taking his show on the road. This is the original Reporting Scotland TV film from 1978.